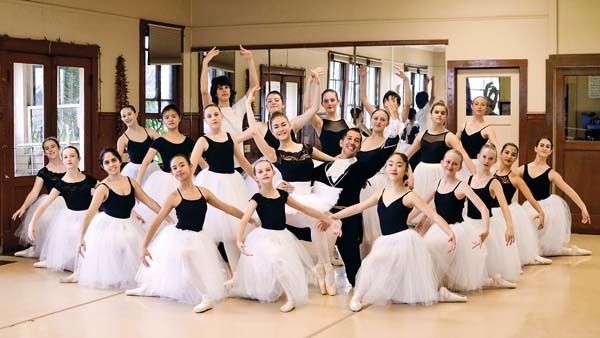 Alexander Academy Performing Company, the little dance company that could, has been offering professional dance instruction Upcountry for 28 years. After needing to relocate from the old Kula Community Center last summer, the academy has since settled into their new home in Haliimaile. 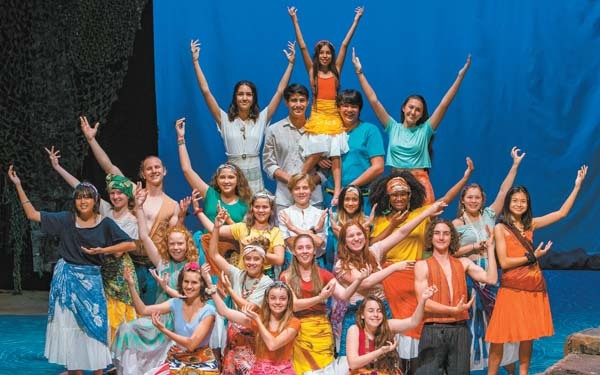 AAPC’s annual ballet is in many ways the only opportunity for Maui audiences to see a full-length ballet live. More than 200 dancers — from toddlers to the school’s upper-level dancers — will execute complex choreography in “The Little Mermaid,” a ballet inspired by Hans Christian Andersen’s classic tale, and featuring additional dance styles ranging from contemporary, jazz, lyrical, hip-hop, acrobatics and break-dancing at Seabury Hall’s ‘A’ali’ikuhonua Creative Arts Center in Makawao this weekend. 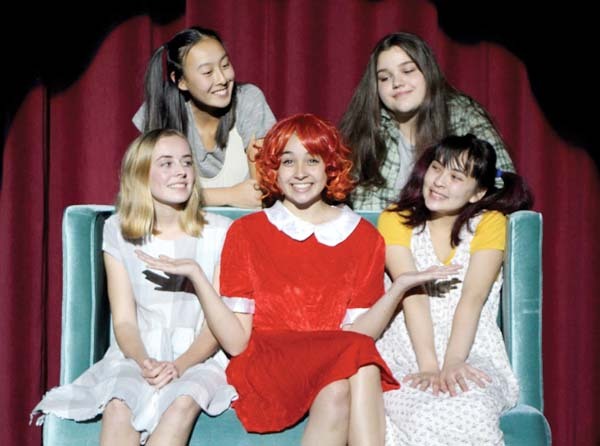 AAPC’s “The Little Mermaid” is essentially an original production created by company Artistic Director Amelia Couture, but based on Anderson’s story, not the Disney film. I asked Couture, who studied at Alexander Academy as a child, what makes the academy different from other Maui dance schools. “I teach at Alexander Academy because I studied there as a kid, and it has always felt like a family. The young people at the school love and support each other. They cheer each other on, and inspire each other to work hard. I am honored to be part of their lives and to watch as they become young adults,” she said. Couture went on to train at Salt Lake City’s Ballet West as a teenager. I asked how dance has changed since then, as well as her advice for Maui’s teenage dance students. “My advice to young dancers on the island would be to see every dance performance that comes to the (Maui Arts & Cultural Center), take classes from as many teachers in as many styles as possible and utilize online resources to expand your horizons,” she said. “I think that the way the world has changed is making it easier to transition from Maui to the wider world of dance. When I was growing up, I had to buy video performances of ballets in order to see professional companies perform. Those videos cost upwards of $40 each. So my exposure to the wider world of dance was minimal. “Today with YouTube and the internet in general, the ability to watch dance from around the world is something young dancers now take for granted. Watching dance and being exposed to different things is so important to a career in dance,” continued Couture. “Each year, I feel we continue to raise the bar in terms of our students’ beautiful dancing, our faculty’s transformative choreography and our families’ intricate behind-the-scenes work to make our annual production a memorable event for our dancers and our audience members,” said Danelle Watson, executive director of Alexander Academy. 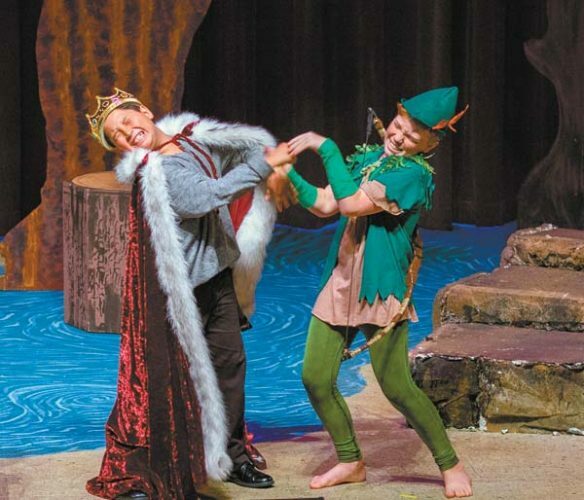 “Our teachers are dedicated, families are supportive, students are committed — this is a great formula for another great show,” she said. 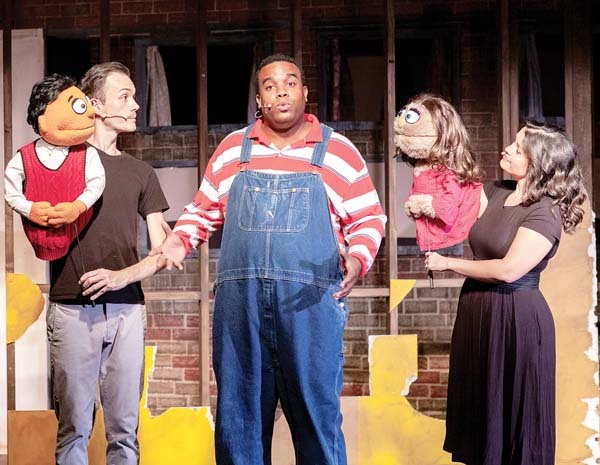 Four performances will be held throughout the weekend to showcase multiple casts. 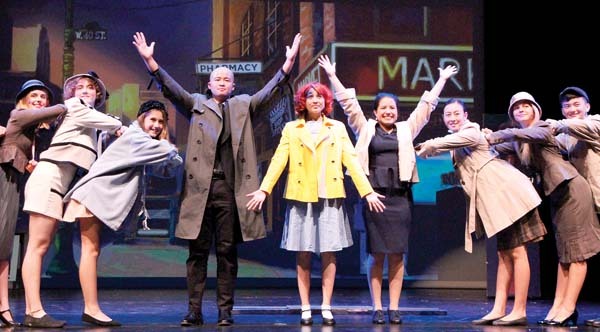 “Alexander Academy’s tradition of double-casting its lead roles gives our advanced students the well-deserved opportunity to be featured onstage,” added Watson. Following that tradition, Jessica Bartlett and Sara Salaparuta will perform the role of the Little Mermaid; the Sea Witch will be portrayed by Amelie Wertheim and Lilah Li; and the Princess will be played by Hina Claerbout and Madeleine Cochran Welch. Audience members are encouraged to attend multiple shows of “The Little Mermaid” to witness the company’s full scope of dancers and Couture’s staging which will present both land and sea, enveloping the audience into the performance. Couture also shared her thoughts on the closure of old Kula Community Center and having to relocate the company just weeks before their ballet last year. I asked her why “Mermaid” was chosen for 2018. “It is a beautiful story that presents very complicated themes of family, culture, power, obsession and love. I think it is especially relevant to teenagers who are undoubtedly experiencing their first loves, whether requited or not. Love can blind us and make us overlook insurmountable obstacles at our own peril,” concluded Couture. Buckle up for an out of this world show that makes “Star Trek” look like “Little House On The Prairie,” as Fuzz Box Productions presents “CYBERLESQUE: A Multimedia Futuristic Fantasy Show” at 9 p.m. Friday at Historic Iao Theater in Wailuku. Travel through deep space alongside our intrepid heroes, as they visit the sexiest nightclubs of the galaxy — The Squeak Easy, Las Venus and the Moon-La-Rouge. “CYBERLESQUE” stars Hawaii burlesque sensation Violetta Beretta, Maui’s Cabaret & Cocktails, Kit Kat Club Cabaret and many more. * Performance is at 9 p.m. Friday at the Historic Iao Theater in Wailuku. Tickets range from $20 to $40. For more information or to purchase tickets for any Iao Theater event, call 242-6969 or order online at www.mauionstage.com. 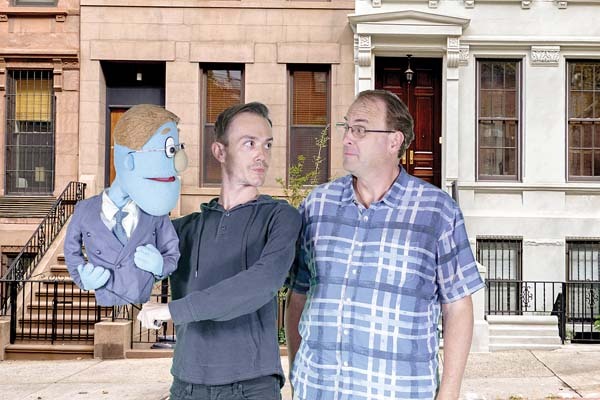 Maui OnStage continues its free, one-night-only theater series, ONO! on June 11 with a staged reading of the Pulitzer Prize-winning play ” ‘Night Mother” by Marsha Norman, directed by Jim Oxborrow. Jessie (Patty Lee) calmly tells her mother, Thelma (Jennifer Rose), of her plans to commit suicide. The subsequent dialogue between mother and daughter slowly reveals Jessie’s reasons for her decision, and how thoroughly she has planned her own death, culminating in a disturbing climax. * The free ONO! performances happen every second Monday of the month at the Historic Iao Theater in Wailuku. For more information, visit www.mauionstage.com. Captured live on film in London, the National Theatre presents a one-night-only screening of “The Curious Incident of the Dog in the Night-Time.” This critically acclaimed and long-running production received seven Olivier and five Tony Awards in 2015. It’s seven minutes after midnight and the teenage Christopher stands beside his neighbor’s dead dog. It has been speared with a pitchfork, and he is the primary suspect. Exceptionally smart but mentally-challenged, Christopher’s detective work takes him on a frightening journey that upturns his world. * Screening is at 7 p.m. June 12 at the Maui Mall Megaplex 12 in Kahului. Reserved seats are $18.75 (plus applicable fees) and are available at www.fathom events.com.